Stump Chunks – Kindling & Fire Starter is pleased to announce it’s September 2017 – Large Bag Contest Winner. 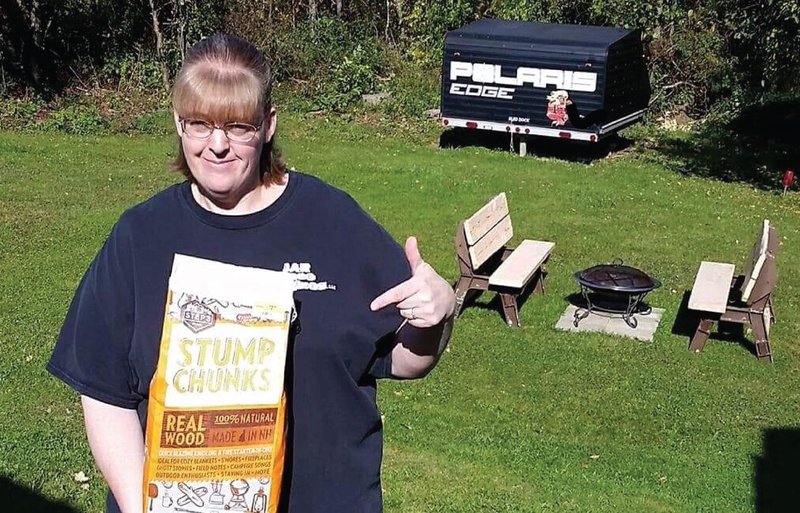 Congratulations to Vicki True, from Pittsfield, New Hampshire , ……………………… Vicki told us, We started using Stumpchunks quite a while ago when we got a new firepit. Stumpchunks are the best! There is no easier way to get your fire started, no more messing around with newspapers that float off into the sky while burning. We’ll never stop using Stumpchunks!